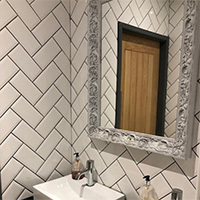 A brick effect formation has a timeless appeal and these tiles certainly produce a decorative look when arranged on walls in bathrooms and kitchens. These tiles provide interiors with a retro charm and match superbly with wooden or stone worktop surfaces. They also combine superbly with modern chrome fittings. Featuring a retro style, these Ondulato Bianco White Gloss Ceramics are perfect for transforming interior layouts. The high gloss finish not only accentuates the appearance but also allows for easy cleaning and maintenance. 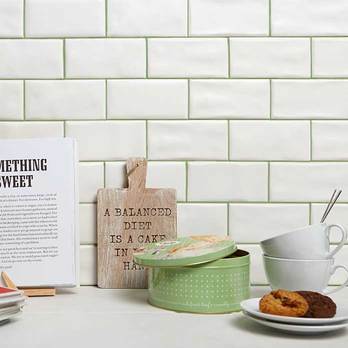 These white ceramic tiles have a rectangular format and are a decorative option for wall designs. They add style and quality to any interior space. 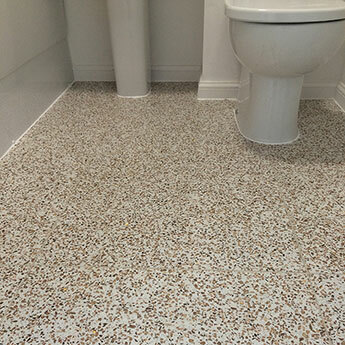 The white colour matches superbly with chrome fittings and wooden or stone worktop surfaces.